Contributing nearly two million tonnes of mismanaged plastic waste every year into the ocean, the Philippines is ranked as the third worst plastic polluter in the world. With government and global attention, the time is right to focus on developing a solution. 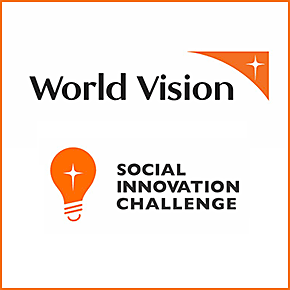 This year’s Social Innovation Challenge will focus on the waste problem in the Filipino Island of Ilo Ilo, within the communities of Sto. Nino Sur and Sto. Nino. The legacy of poor waste collection and waste management has had serious effects on the environment and the livelihood of local communities and residents. The goal of this year’s challenge is to works towards changing that. Local initiatives to promote “zero waste” initiatives are increasing recycling and waste segregation efforts, but the low value attributed to waste prevents many community members from feeling incentivized. ● Income generation – the community members, majority of whom earn below the poverty threshold, can generate income from solid waste collection, sorting, cleaning, recycling, upcycling, etc. 2. Submit. Innovators submit their business models. 4. Pitch. Final business models are presented to World Vision and expert industry partners. 5. Incubate. Winner is selected receive 25K in funding for implementation and continues on to 12-month incubation period. The Social Innovation Challenge is a uniquely collaborative model, that pairs entrepreneurs with communities who need help solving a global issue that’s affecting them locally. Leveraging World Vision's entrenchment in communities abroad, these innovators are empowered to co-develop their ideas with local communities and create meaningful solutions together.